Happy Thanksgiving to all the US stampers! 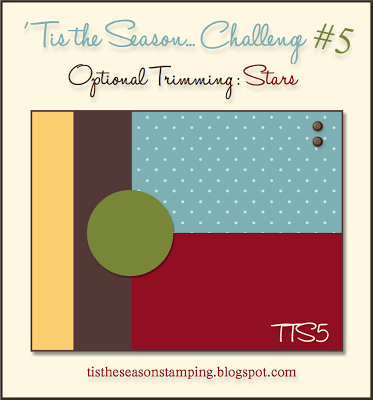 I hope you have a wonderful day full of great food, love and laughter!Today we've got another challenge for 'Tis The Season and its a sketch with the option of using stars on your project. I decided to take the pieces on the sketch and put them together like you might see on a quilt. 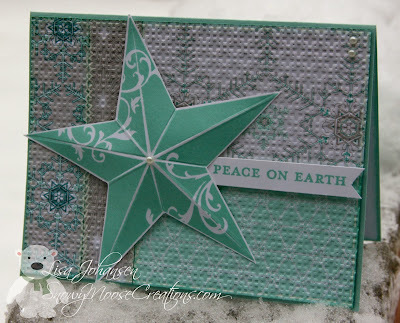 I sponged all the edges of the Winter Frost DSP that I used with Pool Party, used a white gel pen to add some faux stitching and then I ran the piece through the Big Shot with the Square Latice EF. 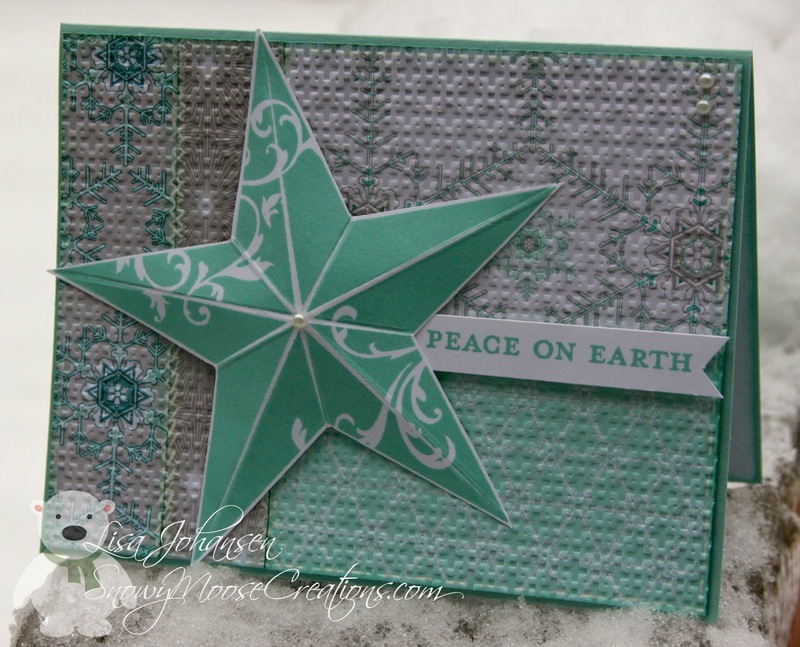 I used the single stamp 'Christmas Star' and scored it so it would pop up a little bit. It's the first time I've inked up this stamp and I really like it!